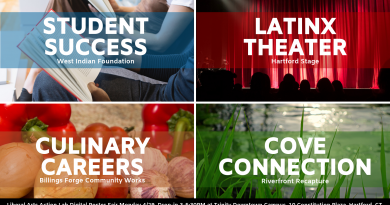 The Liberal Arts Action Lab received 13 proposals in February 2019 from prospective Hartford community partners, and each described a research question or problem that they would like help in answering. Last week, the Hartford Resident Advisory Board reviewed all of the proposals and prioritized 6 to advance to the next stage. Students and faculty fellows are welcome to apply by Sunday, March 31st, 2019 to join any of the Action Lab projects above. Depending upon scheduling and interest, we expect to support 4 teams during the Fall 2019 semester. Apply online, and read more details about each project below the form, at http://action-lab.org. Absentee Landlord Project: Southside Institutions Neighborhood Alliance asks for research on the prevalence of small multi-family properties in targeted neighborhoods that are owned by people who do not live in the city to help them strategize about community development plans. Maria Relocation Project: Lilly Sin Barreras asks for retrospective research on what went well and what went wrong during the relocation of refugees from Hurricane Maria to Hartford. Youth Homelessness Project: CT Coalition to End Homelessness asks for help updating their curriculum and improving their outreach to schools about the estimated 5,000 youth who are experiencing homelessness in the state. Youth Sports: Active City asks for research that will help them increase participation in organized youth sports in Hartford. Park Usage: Colt Park asks for research into how to measure park usage so that resources can be directed where they are most needed. 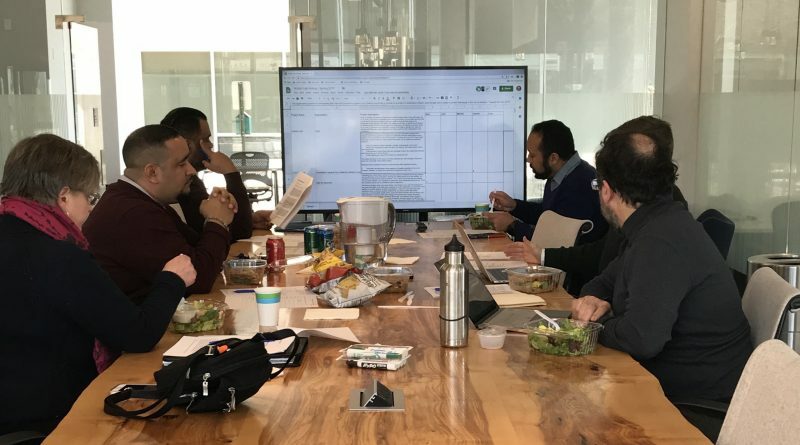 Asset Mapping: Hartford 2000 knows that there is a lot going right in Hartford: they need help identifying and documenting the community assets that currently exist so that they can help the community leverage those assets for increased development. Video from the Fall 2018 Digital Poster Fair: Listen to Doris Zhang ’19 and Shubhada Kambli from the Office of Sustainability describe the dynamic between students and Hartford community partners. Correction from the video: the application deadline has been changed to March 31st. Prospective students from Capital Community College and Trinity College are welcome to list up to 5 preferences. Students must be available to enroll in two Action Lab courses: LAAL 200 Action Research Methods in Hartford (for all students on Monday afternoons, around 1-4pm) and an LAAL 201 Hartford Research Project team (6 students, meets either Tuesday, Wednesday, or Thursday afternoons, around 1-4pm, or Wednesday evenings, around 6:30-9:10pm). Both will be taught by the Action Lab Director at our downtown campus, and successful students will earn 2 Trinity credits, which is the equivalent of 6 CCC credits. The Action Lab will inform students if they have been matched to a project team by early April, before pre-registration for the Fall 2019 semester. Prospective faculty fellows are welcome to list up to 3 preferences. Your name will publicly appear online to help us match you with prospective students. Full-time or part-time faculty, advanced graduate students, or staff with subject or method expertise, from Capital Community College, Trinity College, or other institutions in the Hartford Consortium for Higher Education, are welcome to apply. Fellows will provide academic guidance and evaluate student work for at least one semester, and must be available to meet with their project team at least once a month (either Tuesday, Wednesday, or Thursday afternoons, or Wednesday evenings) at our downtown campus, plus one additional pre-semester meeting of all faculty fellows. (The Action Lab Director will supervise teams of students on a weekly basis.) The Action Lab will inform prospective fellows if they have been matched to a project team by early April, before students pre-register for the Fall 2019 semester. If selected, faculty fellows will receive a $1,000 stipend.